Is Polar Beverages Still Family Owned? Yep. For 135-years, Polar Seltzer has remained a family-owned and operated business. 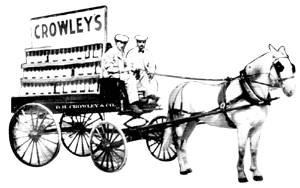 We still craft our own recipes, we bottle our products, we deliver them across the country, and then we work hard to make sure they stay fresh and stocked on your store shelf. 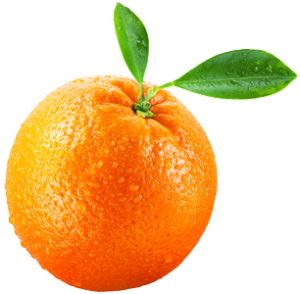 Refreshingly natural, don’t you think? Can I buy Polar online? How can I be the first to hear about new products? Be the first to know. Get our sparkling brand news delivered directly to your inbox. We send quarterly updates announcing our new products, send coupons, recipes, giveaways and more. My store doesn’t carry my favorite flavor, what should I do? Your best bet is to ask your local grocery store manager to carry your flavor, chances are they will bring it in. I've got a few questions, calories, water, bubbles, what's the deal? Polar Seltzer is made of 3 simple ingredients water, bubbles & natural flavors. 1.Locally sourced WATER that is triple-filtered using the latest reverse osmosis technology to create the optimal "canvas' onto which the flavors are painted. 2.Our signature BUBBLES are created by dissolving CO2 into the water at extremely high pressure at a temperature just above freezing. Not too little, not too much. What does 100% Natural Flavors mean? Are all seltzers created equally? How does Polar add carbonation? Why can't I make Polar at home? Carbonation is a bit of an art form. The bubbles are “dissolved” into the water at near freezing temperatures and bottled without exposure to oxygen for maximum quality. For safety reasons home seltzer siphon machines cannot reach this level of carbonation (pressure, temperature, flavor). How do you come up with your Limited Edition Seltzer Flavors? A few years ago we decided to craft a batch of seltzers as a ‘Thank You‘ to all our devoted fans. We began with playful recipes made in very small quantities to push our creativity. The idea was to surprise and delight diehard Polar Seltzer aficionados. The recipes are still inspired by seasonal ingredients, places we have traveled, or amazing things we’ve tasted. When do the Limited Edition flavors launch? A premium collection of Limited Edition recipes that are introduced twice a year and thematically inspired by local ingredients, travel, or trends in American food culture. Our summer collection drops May 1st, and our Winter lineup is announced October 1st. Sometimes we even drop a few Polar Small Batch surprises along the way. Find out before anyone else at PolarSeltzer.com/VIP. When life gives you lemonade, make a NEW seltzer. Polar Seltzer'ade is a collection of sparkling seltzers inspired by our favorite lemonade recipes – but without any of the guilt. 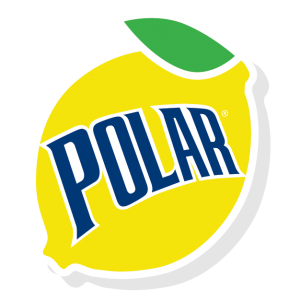 Polar Seltzer'ades are crafted with simple ingredients – the essence of fresh lemons (or limes), bubbles and triple-filtered water, plus the natural fruit flavor needed for each of the signature recipes. Is Polar Seltzer’ade a limited time seltzer? Polar Seltzer’ade is in stores now and forever. What is the difference between Polar Seltzer, Club Soda, Tonic Water, and Vichy Water? Made with triple filtered water, Co2, and natural fruit flavors. No sweetener, no sodium. Made with triple filtered water and added mineral salts (Potassium Citrate, Sodium Bicarbonate). Sodium Free Polar Tonic water is made with natural quinine extracted from the bark of the Cinchona tree. Made with triple filtered water and added minerals salts. Recognized for its distinctly salty taste…described as “tasting like the sea”. Polar Vichy Water traces it roots to mineral waters popular throughout the Mediterranean. What makes Polar Ginger Ale different? Made with 20% Less Sugar than leading brands and 4x More Real Ginger and no preservatives, sodium, or caffeine. A modern zero-calorie sparkling beverage made with natural flavors, vitamins and antioxidants. Polar FROST is made with 2-3% real juice. Made for when you simply need more refreshment, more flavor, more satisfaction, more sparkle from your water. Made with more attitude…but still no added sugar or calories! What are the vitamins and antioxidants in Polar FROST? Polar FROST is an excellent source of B, and D Vitamins. With Vitamin D, B3, B6, B12, B7, B5 and 13mg of Antioxidants and 50mg of Green Tea Extract per bottle. Which Polar FROST flavors contain caffeine? Made with fruit juice, vitamins and antioxidants from green tea – Polar FROST+ was created to meet the growing demand of adult consumers seeking CALORIE-FREE refreshment with the pick-me-up benefits of CAFFEINE. Look for the (+) symbol on the bottle! Polar dry is a crisp sparkling fruit beverage made with 10% real juice plus natural fruit essences. Polar Dry has been around since 1934, we still have the original handwritten recipe. Does Polar Soda contain Caffeine? Polar soda products are all caffeine free.